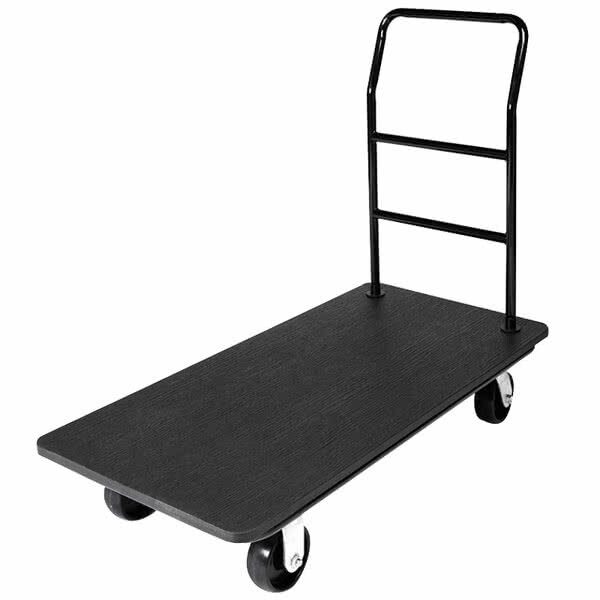 This 1,200 lbs capacity CSL Outdoor Utility Cart is designed for any general material handling purposes especially in outdoor and costal areas. It comes with a 42” long and 22” wide black durable non-porous deck which is large enough to carry all kinds of loads such as bags, boxes, suitcases and luggage that a single person cannot normally carry alone. Although the deck is made out of plastic, it provides a lot of benefits since it is not only durable and flexible but also has a texturized non-slip top to hold your loads in place, does not wrap or rust, is non-marring which means that it does not leave black marks on walls and molding and contributes to saving our environment since it is constructed out of recycled material. The Outdoor Utility Cart is reinforced with stainless steel uprights and has a powder-coated steel handle which makes it look great and provides the user convenience and comfort when using the cart. It is fairly simple to clean due to its smooth and great quality construction materials. This CSL Outdoor Utility Cart with Black Plastic Deck is built with four 5” black poly casters that provides it exceptional maneuverability and ease of transport making it great for outdoor use where terrains and surfaces are rough. The cart is proudly made in the USA and comes with a 1 year manufacturer warranty.